We are reminded (Isa 49) that as some are suffering even in this season of Christmas, “the Lord has comforted and will have compassion on the afflicted.” He knows what they are feeling and tells us, even as impossible as it seems, that a women could forget the baby she is nursing, or lack compassion for the baby she is carrying in her womb, yet the Lord will not forget you. 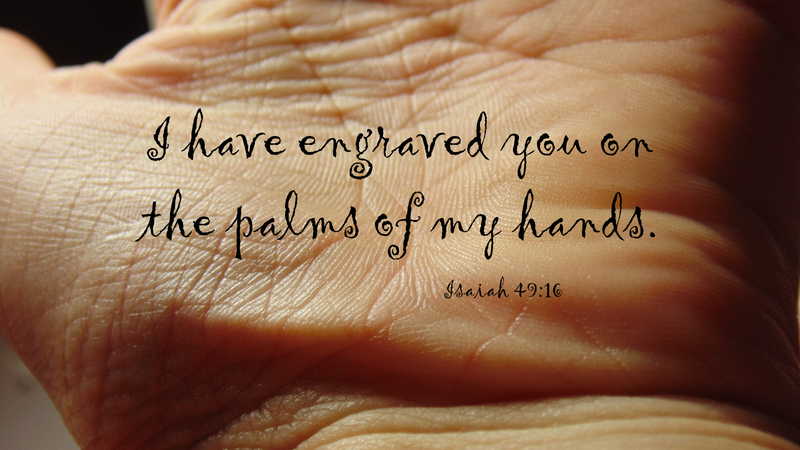 “You have been engraved in the palm of my hands,” says the Lord, and indeed the nail marks in the hands of Jesus remind him of each of us. He loves us like a husband loves a wife who had been discarded in her youth (Isa 54) – with such depth and sensitivity that all our shame and disgrace has been removed, and what we lacked then, he will provide in abundance now. His love searches for everyone who is lost in order to redeem them (Matt 18). His love is so life giving that it is better to lose anything else, even our own body parts, than it is to lose Him. As we find life in the Lord’s love, let us take care not to lead others away from His love, because Jesus has love enough for all. Prayer: Lord Jesus, thank you for remembering me in my times of need and for the love you give me and all who are lost. Amen. Today’s devotion was written by Pastor Bill Maki, Zion Lutheran Church in Saint Marys, OH.